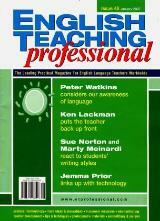 presented over 150 workshops at schools and conferences in Canada and Europe. IATEFL conferences in the United Kingdom. frameworks and activities are methodologically sound and completely student-centred. noticeable improvements in their lessons in terms of student involvement and motivation. 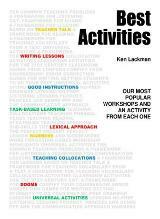 features one great activity from each of our lesson framework and activity books. in the world. For the complete list of workshops click here. Scallywags, a terrific pub a short walk away from English Central. conference or propose a session to present, click here. planning or preparation. To take a look at our published works, click here. English language teaching. You can view some of these testimonials here.